Music Masti Magic will transform your event into a production that will be remembered for years to come. Our Stage Design and Lighting will give your chosen venue a complete make-over with your colors, themes, and vision in mind. 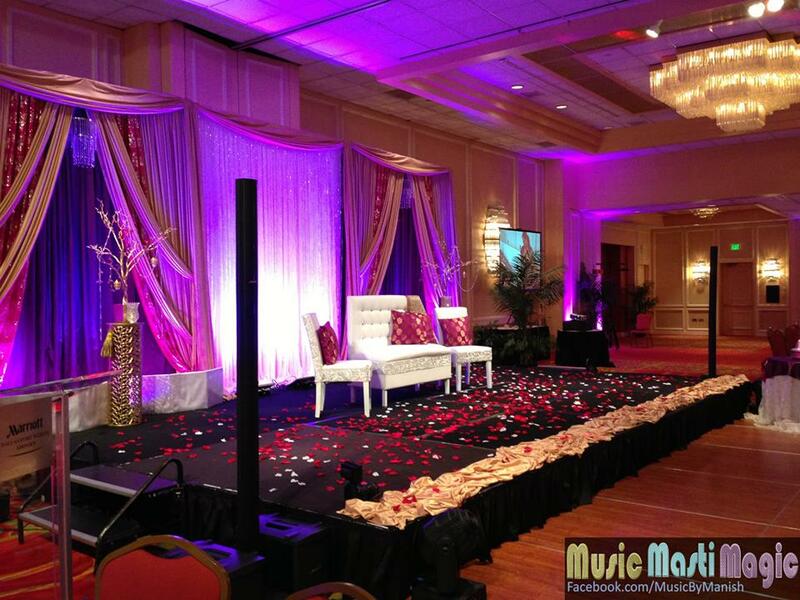 From small and intimate gatherings to large corporate events, and fairy tale wedding extravaganzas, we create stage designs and floor plans that compliment your event for an unforgettable experience. 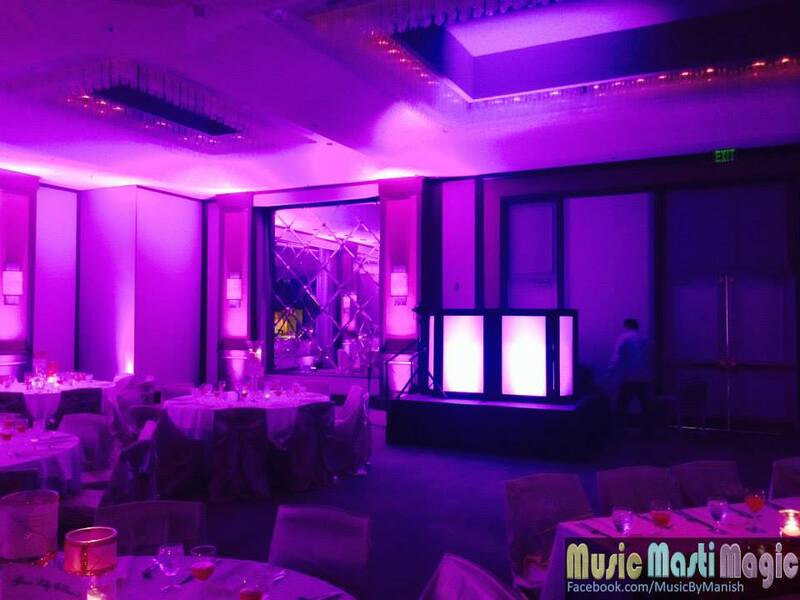 It is vital to set the mood and tone of your event while complimenting the music of your choice. For a romantic event, soft lightsare appropriate whereas a laser light show would rock a Sweet 16 or corporate presentation. If you want luxurious and extravagant, romantic, mysterious, or simple fun, Music Masti Magic will bring your vision to life. 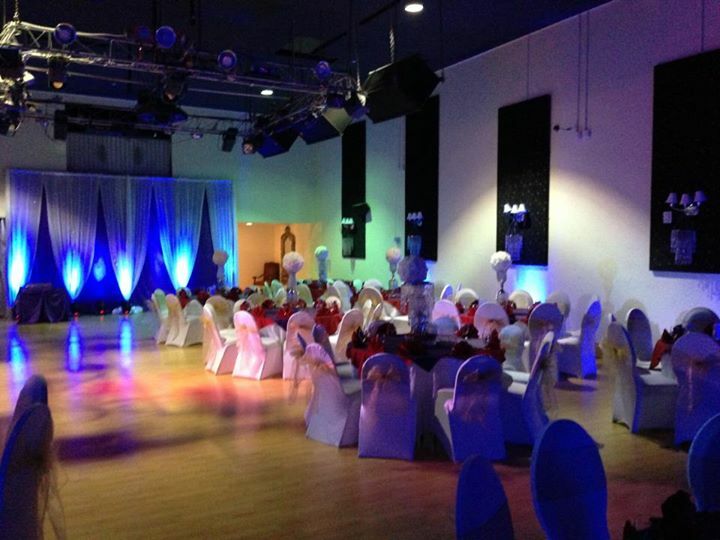 No event is too big or small and we will do everything to stay within your budget. Contact our service representative at 972.836.6972 or e-mail Music Masti Magic at info@musicmastimagic.com to plan your event.